In selecting a Federal Employment or MSPB law firm, your most important considerations will be the quality of the representation provided to you, and your ability to establish a close working relationship with the attorneys you choose. At Melville Johnson,we are proud of our aggressive advocacy on behalf of federal employees, our first-rate knowledge of Merit Systems Protection Board & Federal Employment law, our quarter century of experience litigating against federal agencies nationwide, but most especially we are proud of our client-first approach which has earned us the accolades and respect of those we are fighting for. Please click below to learn more about our experienced MSPB lawyers. Attorney George Melville Johnson has a deep-seated knowledge of all aspects of Federal Employment and Merit Systems Protection Board Law, and his expertise in these areas has led to an impressive record fighting on behalf of federal employees from coast-to-coast for over a quarter century. Mr. Johnson combines insightful litigation strategy and ferocious trial skills with a notable depth of federal arbitration, litigation and negotiation experience. Attorney Shaun Yancey is an experienced federal employment lawyer with a focus on employment discrimination, position classification appeals, reasonable accommodation requests, and federal disability retirement benefits. He has represented clients before the Equal Employment Opportunity Commission (EEOC), Office of Federal Operations (OFO), the Merit System Protection Board (MSPB), the Office of Special Counsel (OSC), Office of Personnel Management (OPM), and Federal District Court. Mr. Yancey received his Juris Doctorate from Emory University School of Law in 2010. While at Emory Law School, he received the Emory Public Interest Committee grant in 2008. In addition, he graduated with honors from Georgia State University Robinson College of Business in 2012. 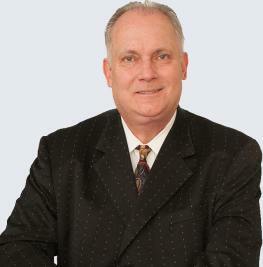 Mr. Yancey joined Melville Johnson, P.C. in 2013. He is a current member of the Atlanta Bar Association, State Bar of Georgia, American Bar Association, and the Emory Law Young Alumni Committee. He enjoys playing an active role in various community service organizations such as the Atlanta Volunteer Lawyers Foundation. Attorney John Durishan is an associate attorney at Melville Johnson PC, with a focus on representing government employees in all areas of employment law, including discrimination claims relating to race, age, gender and sexual harassment. As an experienced MSPB lawyer, John has represented clients before the Equal Employment Opportunity Commission (EEOC), Office of Federal Operations (OFO), Merit System Protection Board (MSPB), and Office of Personnel Management (OPM). Before joining Melville Johnson, P.C., John worked for the state of New York, where he helped create internal policies and procedures for equal employment and managed internal discrimination and harassment complaints.